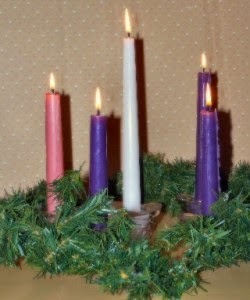 * Most congregations love lighting the Advent Wreath. But lighting the wreath with a collection of people reading a verse and a prayer each week can be an awkward spot in the service. Often people in the pews lose all the words and simply enjoy the candles. There are other ways to do it. Ø Christmas Eve and/or Day: At the time you generally pass the peace, light the four candles of Advent then light the Christ candle proclaiming “Christ is born!” Invite people to say the phrase in greeting people around them. 2. Instead of reading as the candles are lit, sing a song. Three below have both good choruses that can be sung each week and child friendly verses that can be added as the weeks progress. This creche graces the sanctuary at Westminster Presbyterian Church in Charlottesville, VA. The tallest figures are 15 inches tall. They are all lightweight and unbreakable. * Children do not have as many opportunities to hear the nativity story as they once did. So, displaying a large (for visibility), unbreakable (for fearless handling) crèche in the sanctuary and referring to it often during Advent is a good way to build children’s familiarity with the story. It might be used different ways in different years. Some years the figures might begin Advent scattered throughout the sanctuary making their way to the manger over the weeks. Other years all the figures may spend the season in a one place around the manger with individual figures being moved out for special attention each week. Or, the figures could begin Advent in a huddle waiting together until each is featured and moved into place near the manger. If you move the figures this year, there are several possibilities for each week. Find details in each week. 1. Unpack and set up the figures talking about what each one is doing and wishing for before Christmas. 5. Christmas Eve/Day: Add the baby to the manger. Or, hand each child one of the pieces to add to the scene as you tell the story in your own words. Or, add the shepherds on Christmas Eve and the magi on Christmas Day. * Advent hymns and Christmas carols are among the favorites of many worshippers. But, they are generally sung during a very few weeks in worship. We used to depend on the schools to teach them to the children, but that no longer happens. Indeed, I listened to a podcast in which three Lutheran seminary professors suggested that in order to “save our heritage of Christmas carols” we need to find ways to include them in Advent worship. Many congregations already do that. Now seminaries seem to be recognizing the wisdom of that. So, choose Advent-Christmas hymns carefully and plan to do more than just sing them. Ø Walk through them with the congregation before singing them. Put key words or phrases into your own words and point to the message of the carol. 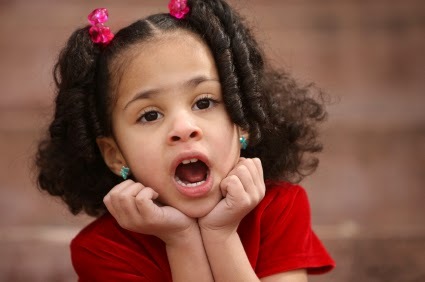 Ø Choose songs with simple choruses that can be rehearsed with the whole congregation before singing so that young readers can join in the singing. Ø Sing the songs in different ways to call those familiar with the song to really hear what they are singing and to help younger singers understand the psalm. Several, such as “Watchman Tell Us of the Night,” beg for responsive singing. Ø Replace generally spoken parts of worship with verses or whole carols. Ø Lace sermons with references to the carols – even directing worshipers to open their hymnbooks to review a given carol. If you are comfortable doing so, sing a phrase or two. If you are not a public solo singer, enlist the help of the choir, a soloist, or the whole congregation to sing a verse or a chorus before or after your comments in the middle of the sermon. Many of these can become childrens’ times just before a congregation hymn, but they are best addressed to the whole congregation. Again detailed suggestions for this are found in posts for each week. Also check out the annotated list of carols that most children appreciate at Singing Christmas Carols in Worship with Children and the suggestion for children leading in a carol each week during the lighting of the Advent wreath at Children Learning and Leading Carols in Worship. Christmas Story Books for Worship started with the worship leaders in the lectionary study group I attend sharing story books they have used in worship during Advent and Christmas. It is not a list of all the cool Christmas books I know, but a list of those I can imagine being read in the sanctuary. Annotated List of Carols is an annotated list of carols children can be drawn into singing. Have You Planned for the Christmas eve Nursery? And of course remember to use the The Lectionary Index and Scripture Index to find ideas related to specific texts.